AMT Racing Engines is dedicated to one thing - building high performance engines. We apply sound machining practices to create engines that make power. Whether it's a Nitro Funny Car or a numbers matching vintage hot rod, boat, Harley engine or tractor, the same principles apply. A favorite saying is "The metal doesn't know what name is stamped on it". 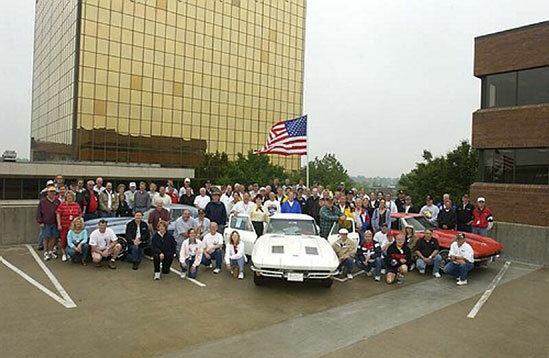 AMT has a lot of experience with vintage Corvette and Mopar engines, including Chrysler and Dodge Hemis. People used to think AMT was a Chevy only shop, but look around the assembly room on any given day, and you are likely to see Chevys, Fords, Hemis and even Honda, VW and Porsche engines. If you want a reliable engine put together by meticulous engine builders, AMT should be your first choice. Browse the website, check out the customer cars, and give us a call. Our customer hours are currently By Appointment Only. 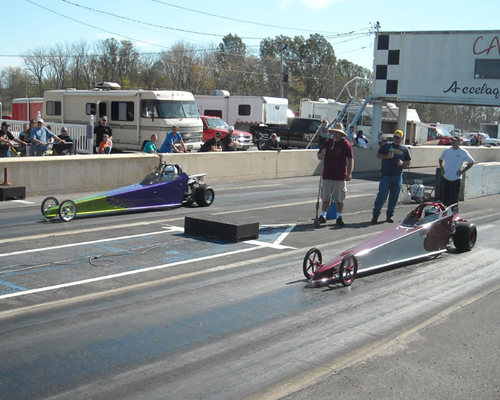 Sets IHRA Record at Nitro Jam! 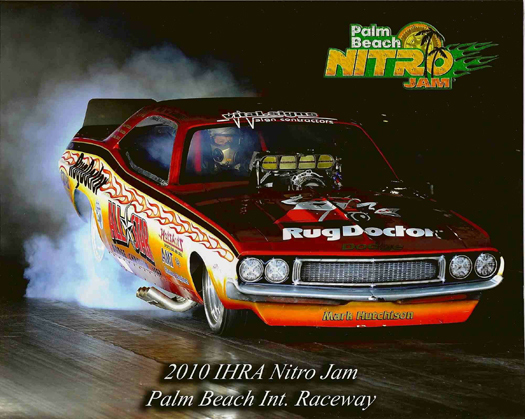 Greg "Jake" Jacobsmeyer has set both the ET and speed record for an IHRA Prostalgia Funny Car with his 1970 Challenger powered by an AMT built Keith Black Hemi. Congratulations to Jake and his team! Scroll down for some photos and a note from Jake. 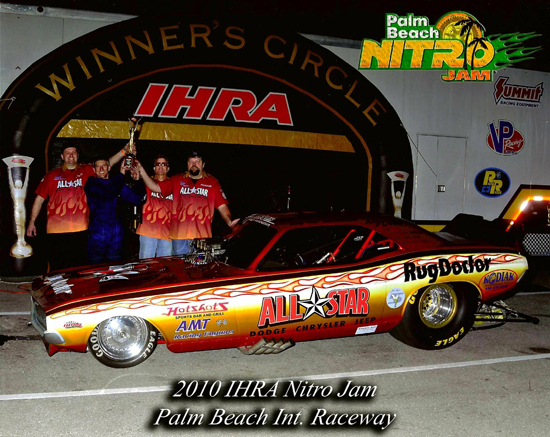 "It was a great weekend for the AllStar Rug Doctor Nitro Funny Car. 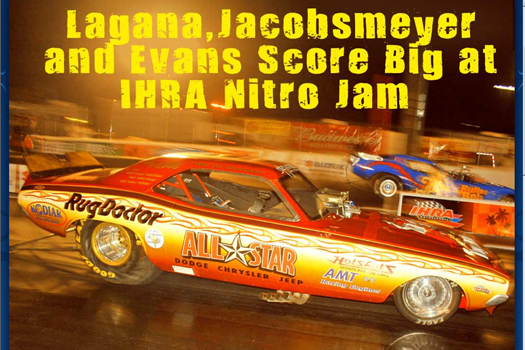 The IHRA had a history breaking crowd on Friday night and a sold out show on Saturday night. We won the event Friday night. We qualified number two and went to the final round to take the win. Speed Channel filmed a lot in our pit area as well so we should have gotten a lot of air time. Saturday we qualified number one and went to the final round again. This time we lost by two thousandth of a second. It was a very close race to say the least. Speed channel was in our pit area filming the car and interviewing again on Saturday. The guys from Speed Channel said it should be televised late spring or early summer. I would like to thank everyone for taking a chance on us. We will do our best to make you glad to be a part of this deal. And a big thanks to all my crew for your dedicated service. 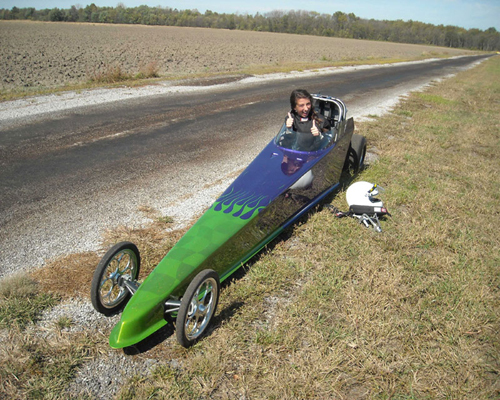 AMT Racing Engines is one of the premier engine builders in the greater Saint Louis, Missouri area. Their meticulous attention to detail provides their customers with reliable engines that make plenty of power. Whether you have a drag car, street peeler, boat or classic muscle car, AMT can provide custom engine building services at any level you desire. AMT is among the few engine shops that have figured out how to get the old Tri- Power 427's triple carburetor setups to run right. If you have a Tri-Power equipped engine, and you want to get it running right from idle through wide open throttle, AMT is your solution. Click the Tri-Power emblem at the left to find out more. 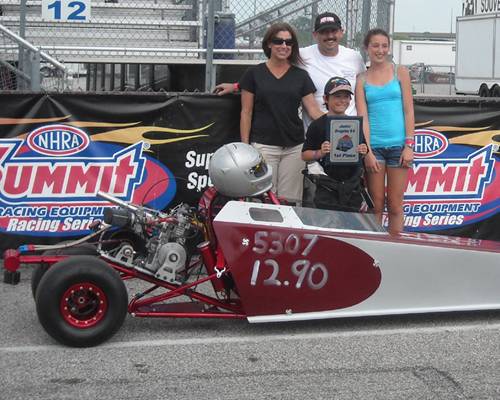 Congratulations to Mark Schwarz - 2007 True Street Champion at the Great Lakes Dragway in Union Grove, WI with his AMT powered small block Ford Mustang. You heard right - small block! Check out the cool video below provided by ARS Promotions! used to go cruising around in it all stickered up like that. I’ve been messing with motors for a long time. 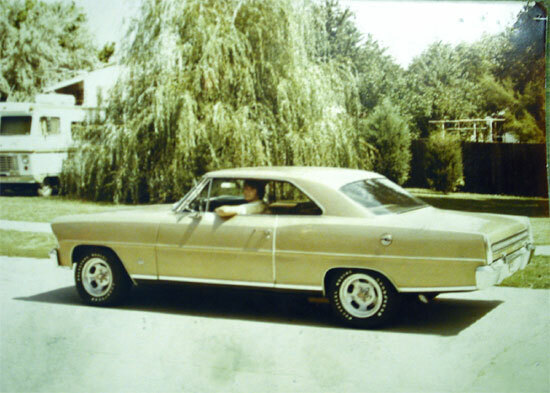 I was introduced to drag racing in 1965 when my dad, Ron Albietz, was sponsored by General Motors and raced the first big block Chevys that came out. He had quite a few of those early engines explode. It was a pretty cool experience. As that would happen GM was kind enough to give us another fresh bullet to drop in! He managed to set several national event records in ADRA and other sanctioning bodies that are long since defunct; possibly the records still stand, who knows? As a kid, we were at the track every weekend trying to make the car go faster, and I’ve been at this horsepower game ever since.My folks have restored four 1963 Split Window Coupes. Guess who did a lot of the work on that stuff? 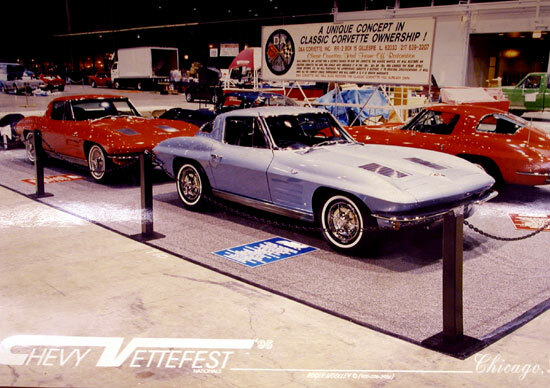 I’m pretty familiar with the vintage Corvettes! Mom and Dad managed to get a red, white, and blue one and another red one. They did a patriototic display at the NCRS St. Louis Chapter 13th Heart of America Regional Meet. It was pretty cool. It got them on the cover of one of the NCRS magazines. As kids, my brothers and I raced anything we could get our hands on - go-karts, motorcycles, whatever. We raced motocross until we were old enough to drive, then got our first cars and went drag racing. The apples didn’t fall far from the tree, so to speak. My fully restored, numbers-matching 1967 Chevy II Nova SS. Today, this car would be worth big bucks. I got a deal on a Chevy II SS car and restored it completely. Unfortunately, it just couldn't hook up with all that weight and the stock suspension. In an effort to go faster, in 1982 the car was lightened as much as possible. 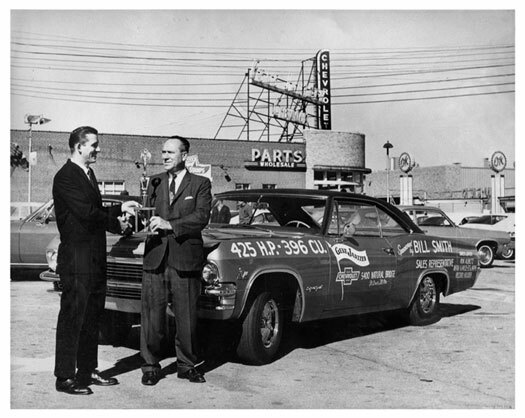 The result was one of the first big-tire Pro Street cars being driven daily on the street in the St. Louis area, right at the leading edge of the Pro Street scene. By 1987, the Chevy II had run in the 9.30's which is still pretty fast for a small block car. 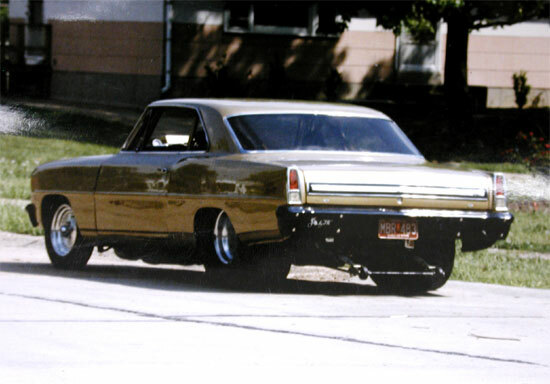 This shot from 1982 shows what you can turn an original 1967 SS car into! Not many street cars were sporting wheelie bars in those days. Once we made it look fast, it was time to get it to go fast. We started buying better components and trying different machine shops in the area that were so-called “the best”, some of them being nationally known. We were doing our own assembly, and as we went faster and faster, we realized that the machine work we were getting was horrible. It became really frustrating to spend money on some pretty cool components trying to go fast on a budget and it wasn't working out too well for us. As we got smarter, we realized that the machine shops were hosing us pretty badly. Some of the things we were paying for weren’t exactly up to snuff. 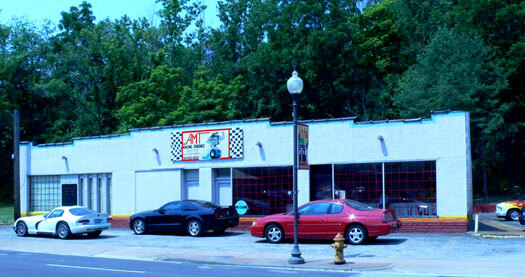 In 1986, I decided to open my own shop with two buddies, and formed AMT Performance. We’ve been working on all types of engines since then. We employ solid engine-building principles that are not necessarily industry standard, but that intelligent people recognize as effective. We’ve been able to take our customers to the next level of horsepower. We’ve built many types of engines from a one-cylinder tractor pull engine to a Pro Modified 800 cubic inch style engine. Regardless of the application, the techniques we apply are exactly the same. We haven’t managed to slow anybody down.What ever happened to the Chevy II you ask? At some point, the brain tumor kicked in and I took the hot wrench to it, making it into the beginnings of a Pro Mod car as you see below. The wing as built by the fabricator was a little extreme. I've since modified it some from this form. There have been a few recent changes, like the wing has been cut down a little, and it has a cowl hood. Unfortunately, there's not much left of the original car, although I did manage to save the title and VIN plate for a possible second life as a genuine cloned SS car! I have decided to make it into a street car, wing and all. Don't be surprised to see the Chevy II cruising on the street in the St. Louis area! Here's the Chevy II as it is today. Besides running AMT Racing Engines, Doug has taught hundreds of students how to build performance engines over the years in ETC's Racing Engine Class. He's shared teaching duties with the likes of Darin Morgan and Brad Morgan from Reher-Morrison Racing Engines, Tim Cole from Comp Cams and Mark Vieau. You shouldn't be surprised that, although each of these engine builders got to where they are through a different path, they do things in remarkably similar ways. Doug likes nothing better than an educated customer. 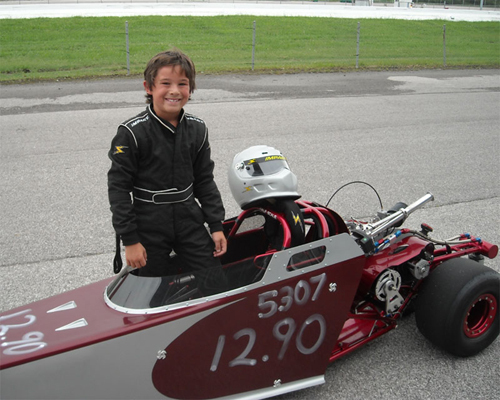 He has built engines for more than one guy who attended the Racing Engine Class because through the class, they have learned of his attention to detail and no-compromise approach to engine building. 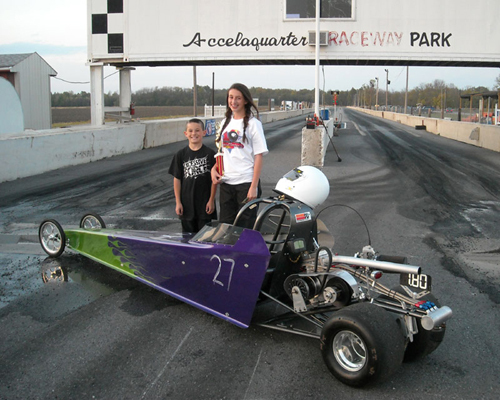 Check out ETC's website at www.etcracingprograms.com and get on their mailing list if you're interested in attending a Racing Engine Class. 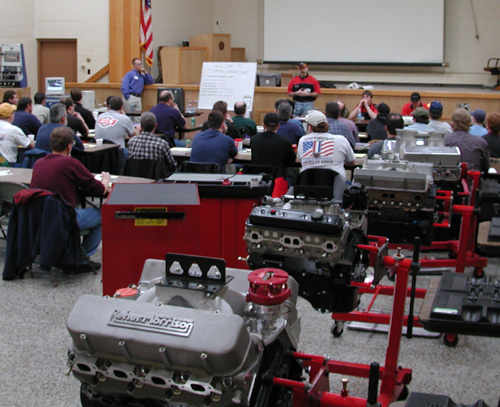 Doug teaches a hands-on Racing Engine Class in Lansing, Michigan for ETC Racing Programs. 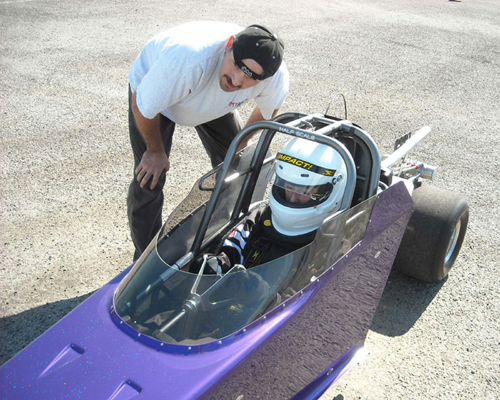 Over the years, he has taught hundreds of students the right approach to building reliable power for their intended purpose, whether it's drag racing, power boats, mud trucks, tractor pulls, SCCA racers, muscle car restoration or street peelers. Luke and Leah are each race car drivers. 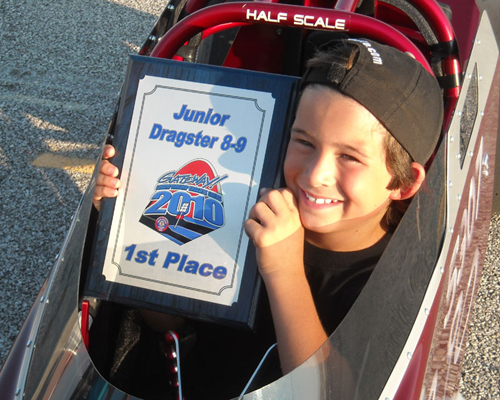 Here are some pics of their Junior Dragsters at the races. 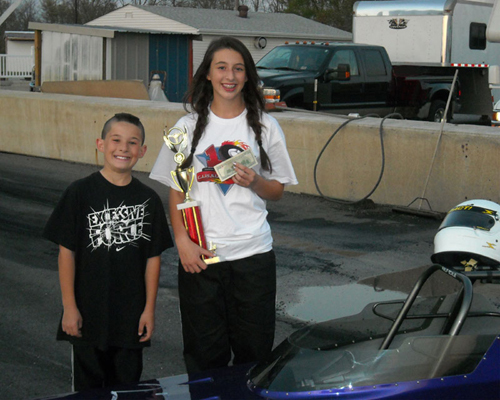 Luke and Leah pose with her trophy and her $100 cash prize.